Developed at the request of an Oklahoma cowboy. 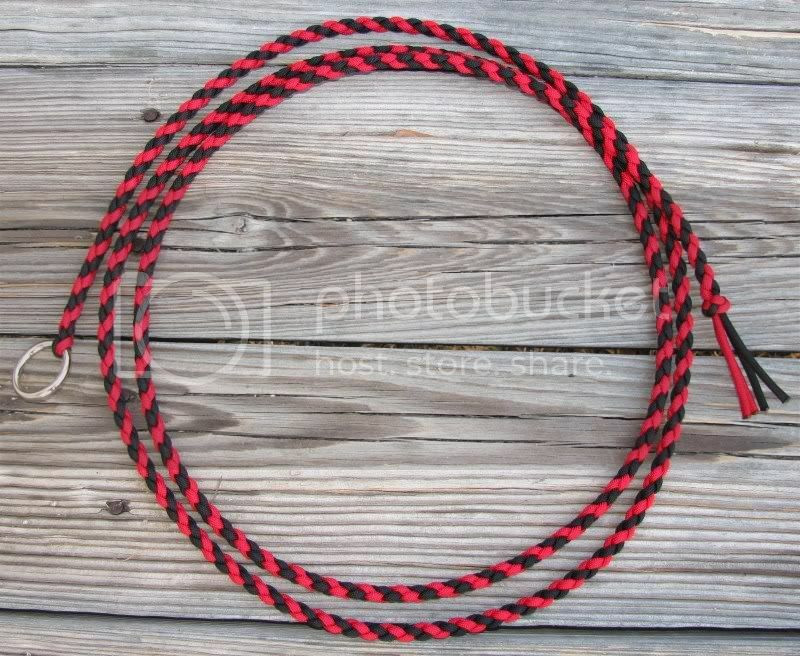 Used by working cowboys for trying down cattle, hobbling horses, making temporary tack repairs, or other tasks that require a short piece of durable rope. Made from #650 paracord and features a 1″ welded steel ring for quick threading of the string. 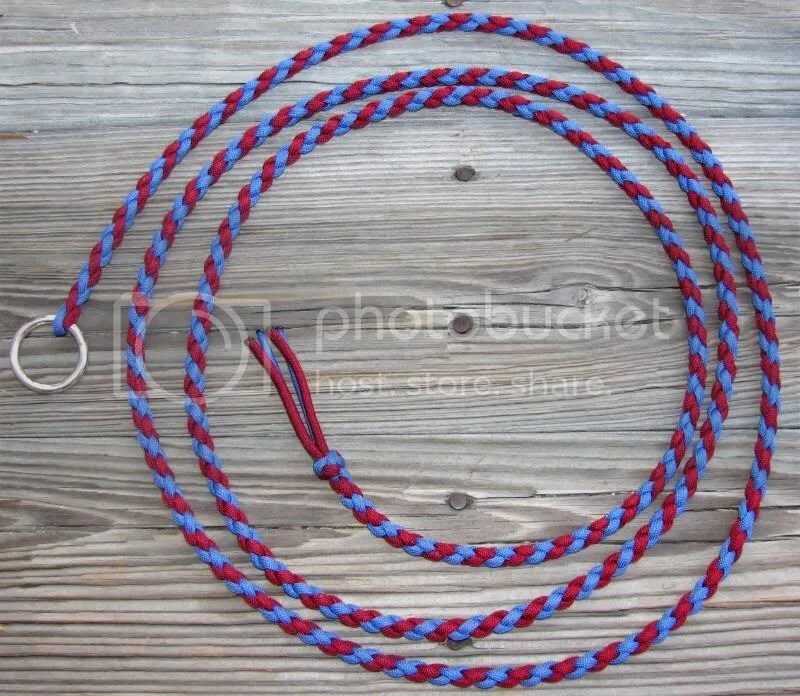 String measures 7.5ft in length and is 3/8″ in diameter. Available waxed or un-waxed. Free shipping included within the U.S.A.